Mark your calendars for this Thursday, April 6th because we could very well be celebrating adidas NMD Day. 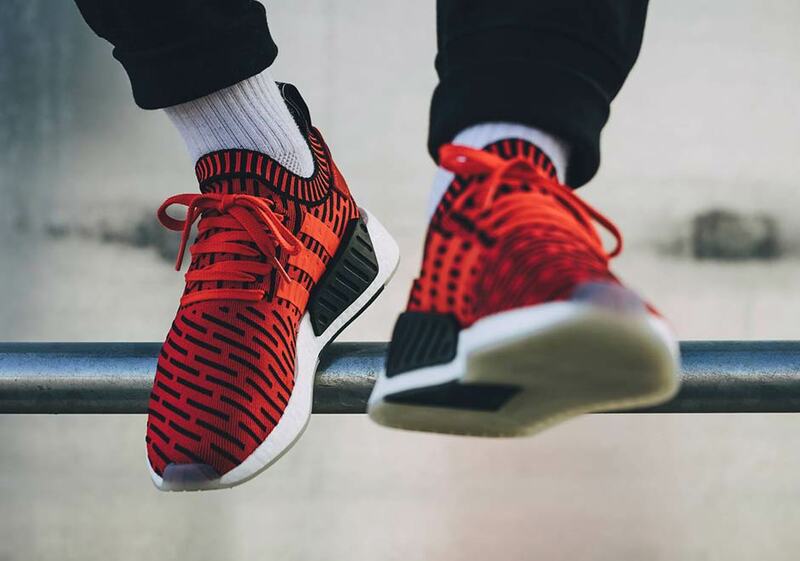 There are over 7+ colorways of the freshly minted adidas NMD R2 releasing alongside a number of notable NMD XR1 colorways and even a few NMD City Sock 2s. 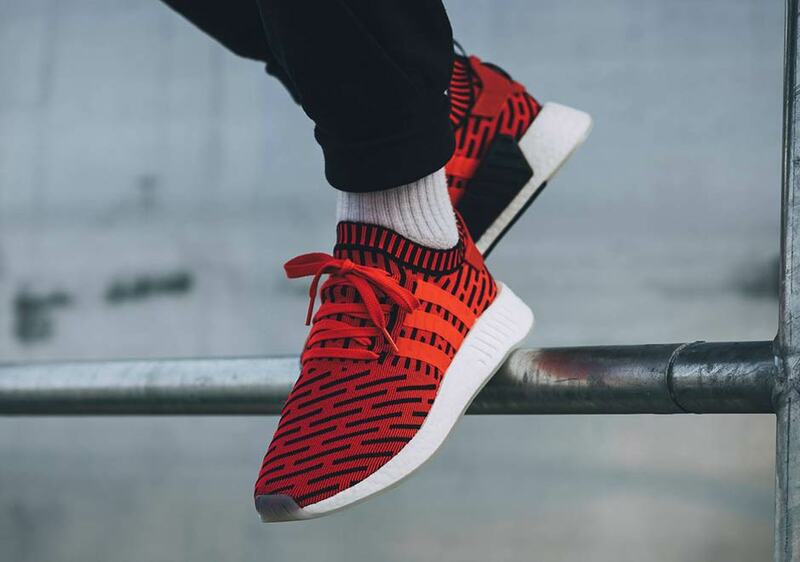 One of the standout colorways is this adidas NMD R2 Core Red featuring an updated Primeknit pattern with contrast Core Black stripes for a sleek, vibrant look perfect for brightening up your Spring 2017 footwear rotation. 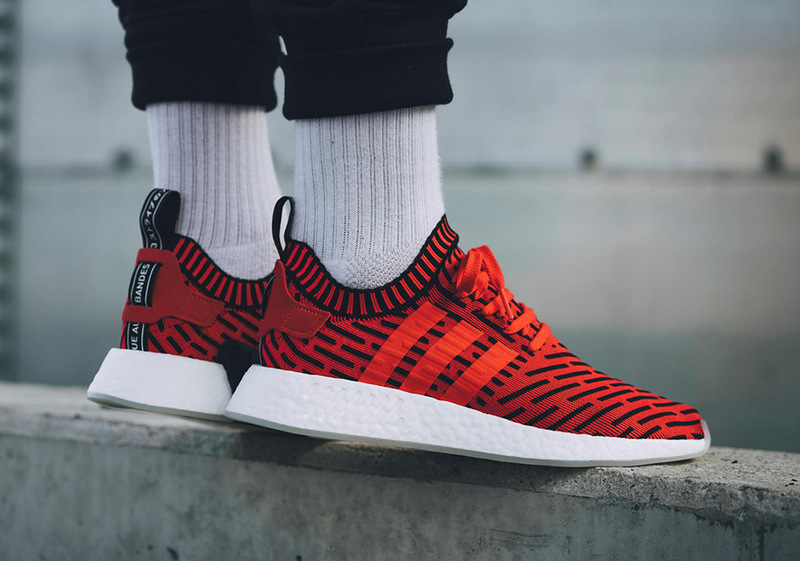 The NMD R2’s design is notable for its full-length Boost midsole extending around the heel while the famous midsole bumpers are all but obsolete except for one oversized supportive addition on the medial side. Check out more detailed on-feet shots below, and if you’re still looking for that perfect NMD colorway for April, head on over to our full rundown of the adidas NMD R2 April 2017 Collection.